Stuartholme School is an international School of the Sacred Heart. The Society of the Sacred Heart is an international congregation of Catholic religious women, established by Saint Madeleine Sophie Barat in France in 1800. One of 200 schools in 40 countries, Stuartholme was established in 1920 with just five young girls in March and another two in August. During World War II, Stuartholme became the 42nd General Hospital of the United States Army. Unfortunately, it was not possible for students to stay at the School, so the School was packed up and moved firstly to Canungra and then at Southport. For much of its history, Stuartholme operated as a boarding school only. 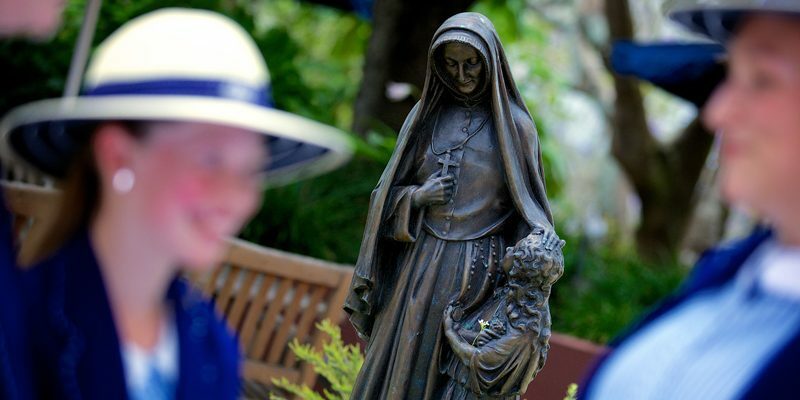 Although the School now caters for both day and boarding students it remains Brisbane’s only Catholic girls’ boarding school. As our School population has grown over the years, the facilities have also developed. The Library was built in 1986 and replaced the wartime structure left by the United States Army. The Spruson Building was added in 1992 and work began in 2002 on the multi-purpose Joigny Performing Arts Centre which replaced the old nurses’ quarters erected in 1942. Sporting facilities have been developed over time, with the most notable additions being the five tennis courts, oval and Aquatic Precinct.